Community gardens are wonderful assets for a community. Become apart of this “Growing” trend! Street location (neighboring the Marrama Elementary School) which presents GVR Homeowners and residents an ideal gardening opportunity! 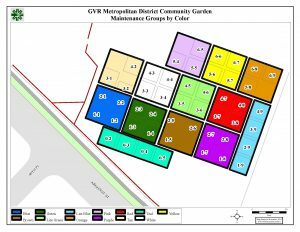 For more information on the GVR Community Garden, email Dee Mares at dmares@gvrmetrodistrict.com with your contact information and she will get in touch with you as soon as she can! Or stop by the District’s office today and become part of this great community program! What are the best plants to grow in your area?